It’s not quite here yet, but I love Fall ~ the beautiful colors, caramel apples, candy corn, and after Summer in Alabama, the cooler temperatures are so welcome! 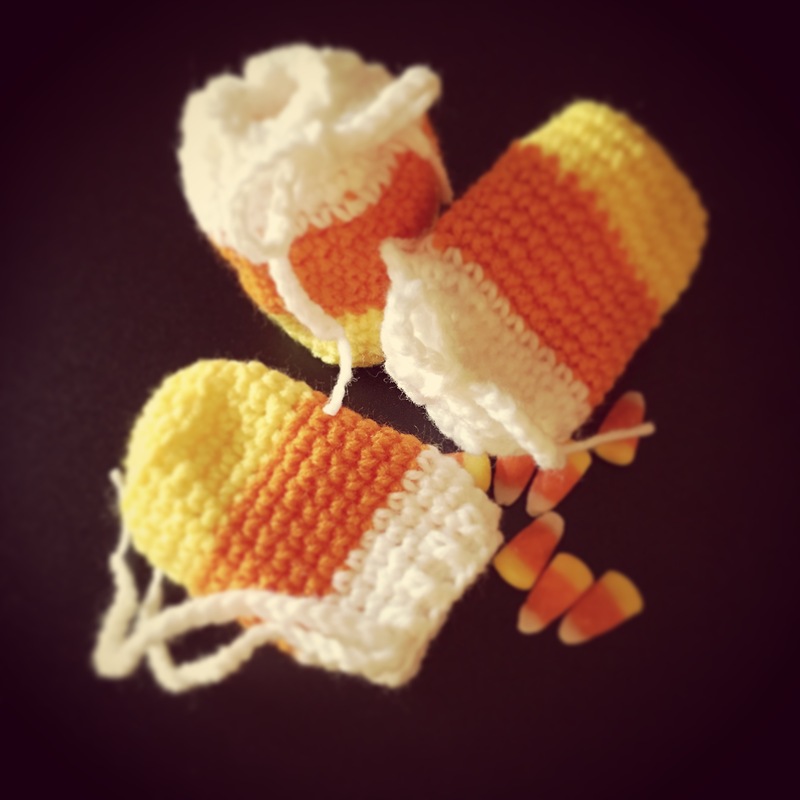 These crochet Candy Corn Treat Bags are just so cute! I found this great pattern on the Repeat Crafter Me blog. It is a super easy pattern and works up quickly. Fill these bags with candy corn (I suggest putting it in a cellophane bag first), attach a cute little tag, and you have a special treat for family, friends, neighbors, teachers, or anyone else who might need a little “happy”. I decided to make the drawstring by making a simple chain about 12 inches long. Other than that, I followed the wonderful instructions as written. These great bags don’t use much yarn, so you can make several using one skein of each color. This entry was posted in Crochet, Fall, Gifts. Bookmark the permalink.